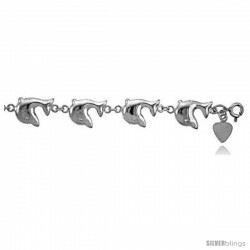 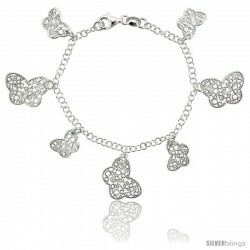 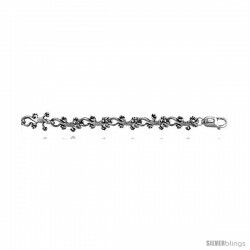 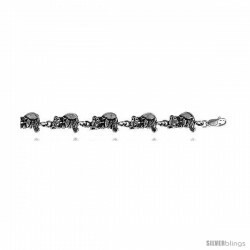 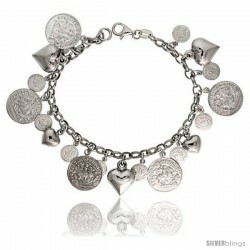 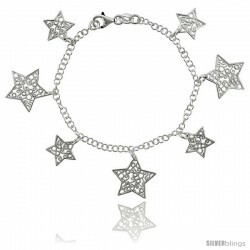 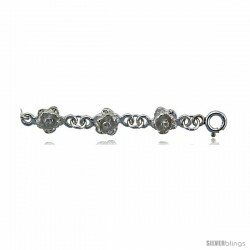 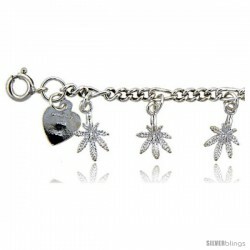 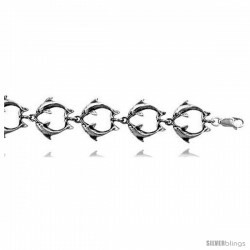 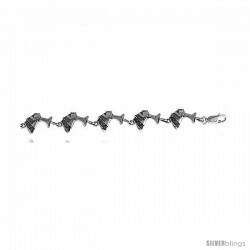 This vivacious Charm Bracelet fashioned in Sterling Silver is elegant and classy. 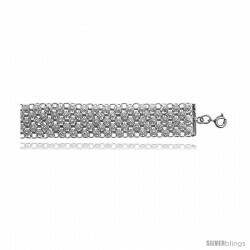 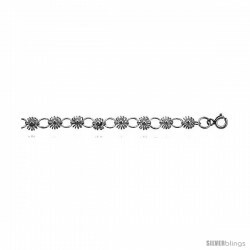 This Bracelet is solid Sterling Silver, all Hand Crafted and very well made. 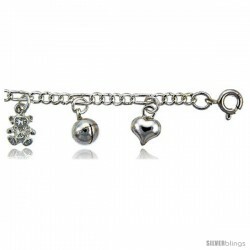 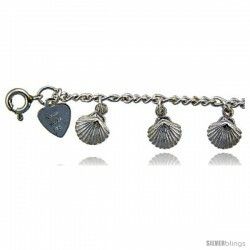 It comes with an Extension Chain so it can be used on wrist sizes 7 to 8 inches long. 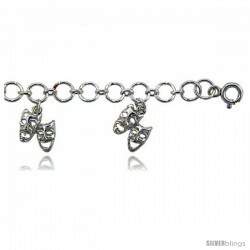 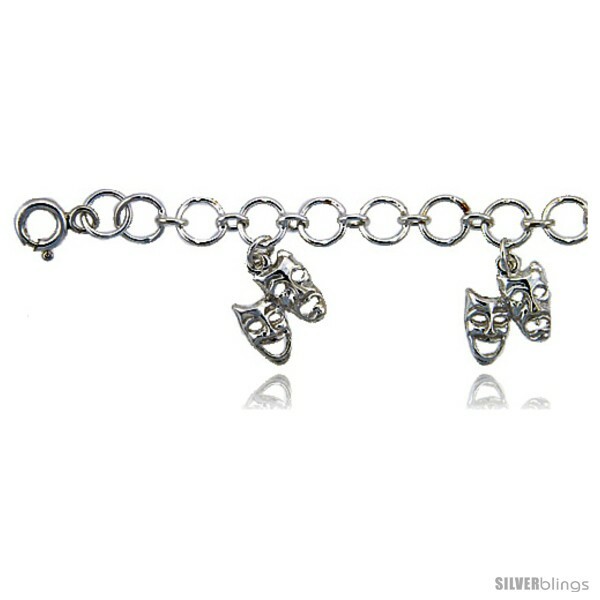 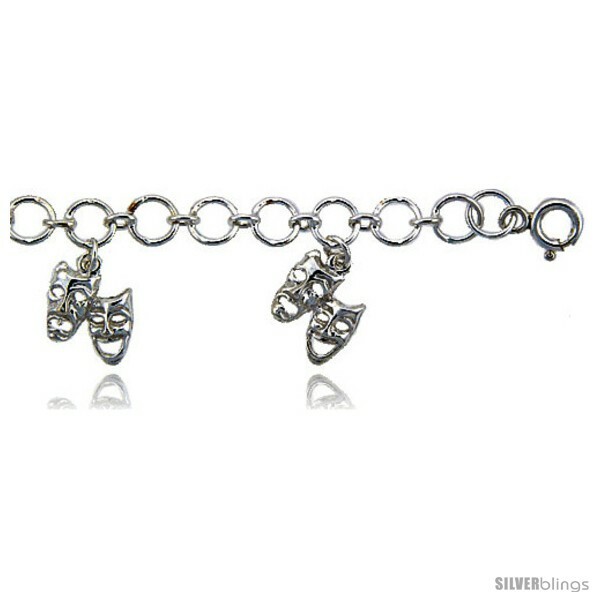 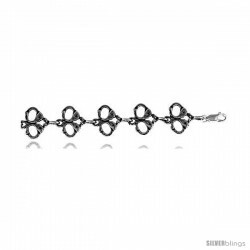 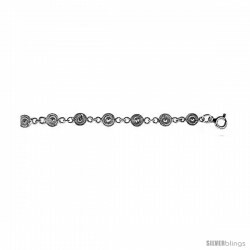 The total width with the dangling charms is 5/8" (16mm).